Modern homes feature many amenities and conveniences that homeowners enjoy, but homes are not always equipped with safety features designed with the elderly, disabled, or children in mind. At Sears Handyman Services, we understand that many seniors and disabled individuals have mobility issues that require special fixtures to accommodate. Many senior citizens prefer to remain at home and “age in place” during their later years, but they can have difficulty with certain movements like climbing stairs and maneuvering with bathtubs, showers, and toilets. Likewise, some disabled people can have similar issues that require special installations to assist their mobility and improve safety conditions at home. Homes can also contain several safety hazards for young children. Open stairways, exposed outlets, and unsecure cabinets can place children at risk. Safety installations and fixtures can be fitted to curtail the risks of open stairwells and outlets, and Sears Handyman personnel know how to install them as well. Some disabled or elderly persons can have difficulty navigating their homes due to incapacities that make mobility at home difficult. In particular, shower and toilet access can challenge seniors due to slick tiled surfaces and no fixtures to assist with balance. 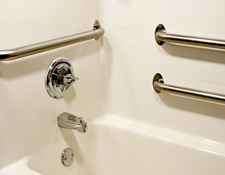 For people with such difficulties who live on their own, the installation of shower and toilet grab bars can make these common, daily tasks more accessible. With a grab bar installed in a shower or near a toilet, a senior citizen or disabled person can more easily access these fixtures. If you need grab bars installed or know of someone who could benefit from such bars, call a Sears handyman today. Sears Handyman technicians have a wide experience in home installation projects. 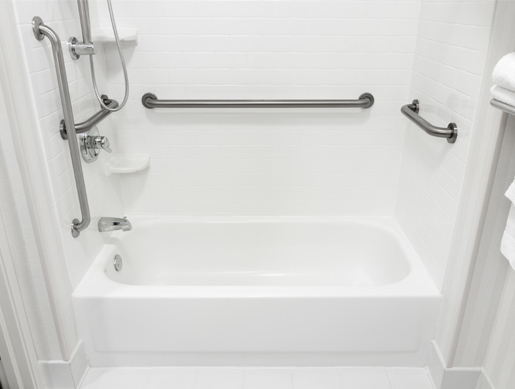 They can install grab bars to make living at home more convenient for those who have difficulty with certain tasks. Similar to grab bars, extra railings in a home can allow seniors or the disabled an easier time mounting stairways, whether they are inside or outside the home. Many homes were not designed with the elderly or disabled in mind, and therefore they may lack basic features that make homes more suitable for senior citizens or the disabled. For railing installations performed by a home maintenance and improvement specialist, you can count on a Sears Handyman. 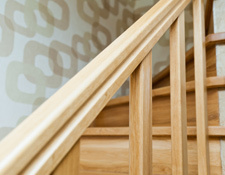 Our technicians recognize the importance that railings can have in a home whose residents struggle with mobility. With railings installed, the mobility challenged can have support for mounting and descending stairways while living independently at home. 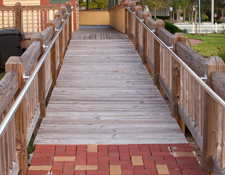 Few homes have ramps or other fixtures already installed. The lack of an entryway wheelchair ramp, in particular, can make accessing a home difficult or problematic for those who rely partially or entirely on a wheelchair for mobility. When you need a wheelchair ramp installed to assist with someone’s mobility, trust in the professionals at Sears Handyman to get the job done right. Our technicians have experience installing a variety of fixtures meant to assist those with mobility difficulties, including wheelchair ramps. Some elderly or disabled individuals have handicaps that can make ordinary tasks a struggle. For those with mobility problems, in particular, these struggles can encompass a number of daily tasks—among them, safe and reliable access to a toilet. 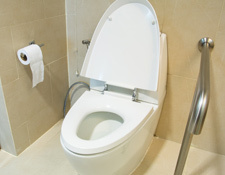 Most ordinary toilets can prove problematic for people with mobility issues. If you or a loved one needs a special toilet installed to help accommodate daily needs, you can rely on a Sears Handyman for assistance. Our handyman technicians know how to install several types of plumbing fixtures, from handicap-ready toilets and showerheads to bathroom vanities and shower railings designed for the physically impaired. The addition of children will transform any household. When children start walking and exploring, they lack the ability to recognize dangerous or precarious areas of home. As such, they can inadvertently put themselves in danger by wandering too close to open stairways, playing with electrical outlets, or coming too near to other home fixtures that could harm them, like exposed heaters. When you need professional help securing your home from a child’s tendency to wander and explore you can rely on a Sears handyman. Our service professionals can install tested safety devices that prevent children from wandering into danger. For instance, many young children have a tendency to attempt to grab television sets while watching cartoons and other children’s programs. Sometimes, children accidently pull the television from an entertainment center and can harm themselves. To prevent this from happening, consider having a Sears Handyman technician mount your television to the wall. For these and other ways you can childproof your home with the assistance of a professional handyman, call your local Sears Handyman office today.